WASHINGTON (Reuters) - The Federal Reserve will remain the top holder of U.S. Treasuries for the foreseeable future after the central bank said it would stop shrinking its $4 trillion balance sheet by the end of September. So just what is inside this vast holding of assets? Before the financial crisis struck in late 2007, the Fed's balance sheet was less than a quarter of its current size and consisted almost entirely of Treasury securities. 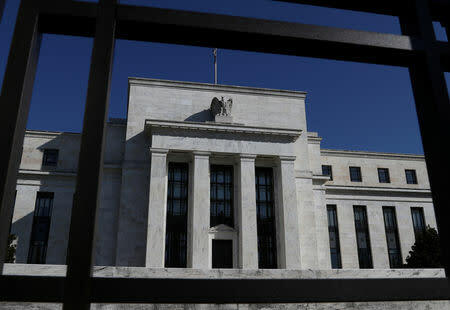 Then, to help foster an economic recovery, the Fed went on a buying binge that ran from the end of 2008 to late 2014 in three phases, a program known as quantitative easing (QE). It bought a mix of Treasuries and mortgage-backed securities (MBS) and over those six years its balance sheet mushroomed nearly five-fold. Today, Treasuries account for just 55 percent of the assets on the Fed's balance sheet. The other big chunk is MBS at about 40 percent. The remainder is a hodge-podge of other assets, including gold. 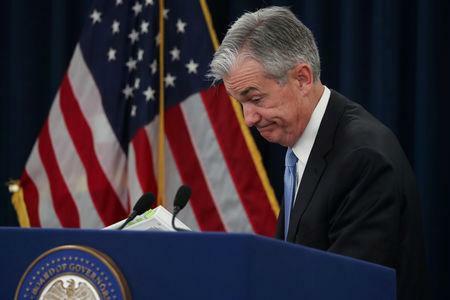 The Fed would like to get back to a balance sheet consisting mostly of Treasuries. But not all Treasuries are the same. These securities range in maturity from 1-month bills to 30-year bonds, and the Fed has held a different mix of these over time. Ahead of the crisis, its preference was for short-term securities such as T-bills, which mature in a year or less, and shorter-dated notes, typically maturing in no more than five years. The needs of the QE program changed that, and the program's priorities also shifted over time. The result was that the composition of the Treasuries portfolio is markedly different today than it was a decade ago. Before the crisis, for instance, notes maturing between five and 10 years accounted for just 7 percent of the Fed's Treasury holdings, and the longest-term securities, maturing in 10 years or more, were around 10 percent of that portfolio. The five-to-10 year sector shot up to as much as 52 percent of the portfolio by early 2013 when the Fed was making a concerted effort to lengthen its maturity profile to pressure long-term bond yields lower and boost the housing market. The longest-dated bonds grew to account for 25 percent, and its holding of T-bills dropped to effectively zero. Today, the Fed's stash of five-to-10 year paper is again its smallest bucket, just over 11 percent. Interestingly it has kept its holdings of long-dated bonds steady, and as the balance sheet has shrunk the share has risen to nearly 30 percent. In his press conference detailing the Fed's plans for its balance sheet over the long term, Fed Chairman Jerome Powell said he would like to see the overall balance sheet continue to shrink a bit more relative to the U.S. economy. At its peak, the balance sheet was the equivalent of roughly 25 percent of annual U.S. economic output compared with around 6 percent before the crisis. As a percentage of nominal gross domestic output, the balance sheet today is just 20 percent of the nearly $21 trillion U.S. economy. Powell and his colleagues at the Fed would like to see it get down to about 17 percent, at which time they would likely begin growing the portfolio again at a pace to maintain that balance sheet-to-GDP ratio over the long term.